Best Portable UV Air Purifiers: Enjoy Cleaner, Sanitized Air with Germicidal Ultraviolet Light Treatment, HEPA & Activated Carbon Filters at Discount Online Sales Prices with Free Shipping! Breathe Extra Clean, Sanitized Air Using Portable Room Air Purifiers with Germicidal UV Light Air Treatment. Here You Can Buy The Best Home & Office Air Cleaners with Quality HEPA & Activated Carbon Filters and Powerful Ultraviolet Light Air Sterilizer Systems that Kill Airborne Bacteria and Viruses, Eliminate Mold Mycotoxins and Other VOC’s, On Sale at Cheap Discount Prices with Free Shipping! 4 Stage Air Cleaning, 1000 Sq Ft! Research has shown that the majority of homes and offices (some far more than others) contain some airborne bacteria, mold spores and viruses to be present in nearly all homes and offices. Airborne bacterial, mold and viral pollutants are dangerous when inhaled, especially for babies, the elderly, those with chronic infections or weak immune systems and even pets. Medical and nursing facilities, daycare centers fitness centers and restaurants often have more airborne germ pollutants caused by people bring in germs, germs multiplying from food products, and those germs circulating in the room. Incomplete facility cleaning and surface sanitization (along with re-contamination from dirty sponges, mops, and dirty air conditioner coils and ducts often make the air quality even worse. If the home or building has had any water damage or any higher than normal humidity issue, the excess moisture can also promote the growth of bacteria, mold and other fungal species throughout the indoor area. Since even the best AC filters are not able to stop airborne microbial contaminants, the solution to eliminating the airborne microbial threat is to buy time-tested laboratory-grade ultraviolet light room air purification systems from an online retailer, since laboratory grade UV bulbs have been shown over and over in many studies to be highly germicidal, antibacterial, antiviral and sporicidal (destroying of spores such as mold and dangerous spore-producing bacteria as well as sterilizing surfaces). And buying online, you often get a better deal since online stores have far lower overhead and can usually offer the best prices. Ultraviolet light air purification systems work by drawing the air past one or more 5 to 36 watt UV light bulbs that produce thousands of light rays, usually in the 254 nanometer range. This type of UV light ray air treatment destroys the structure of cell walls and destroy bacterial and viral DNA so they can’t reproduce. UV light bulbs in quality portable ultraviolet light air sanitizers also release trillions of germicidal negative OH- ions (ozone-free) which destroy mold spores, bacteria and viruses virtually everywhere in a room, while also eliminating a variety of VOC’s (volatile organic compounds) that many odors and even mold mycotoxins are composed of. Buying a portable air purifier with UV light is one of the best ways to sanitize the air you breathe and eliminate odors from your home, office, laboratory, daycare or any other space where you want keep the air disinfected and cleaner overall. The best way to use UV light air purification, however, is to use it in portable ultraviolet air cleaners along with a quality HEPA and activated carbon filters. Air sanitizers with UV light only will disinfect the air, but will not remove the pollutants as there is no filter to trap them. Having true HEPA for particle removal and quality activated carbon filter for chemical removal along with the UV light bulbs offers the best air quality treatment you can get for your home or office. This way you will be able to trap well over 99% of particles and chemicals, as well as kill airborne germ pollutants. For even more powerful air filtration, it’s a great idea to buy portable UV air cleaners for sale form online retailers and install a duct mounted germicidal UV system (simple and relatively inexpensive). This will give you a pre-UV air treatment in the ducts and then a second treatment and filtration from the UV air purifier in the room. For larger areas where VOC’s like ethylene in food storage, or mold mycotoxins in large wine cellars that need to be removed or where air needs to be sterilized to 99.9999%, there are high capacity UV light-only air cleaners that work very well for these applications, as well, and without other filters. Portable UV air cleaners are not only the best air purifier choice for homes and offices, but also a great alternative if you’re renting a home and aren’t able to install a UV air treatment system in the ducts. Portable ultraviolet light air cleaners with HEPA and carbon are also the most effective air sanitizers you can buy for allergies, asthma and COPD because they are able to provide you with maximum germicidal ultraviolet light air sterilization in whatever room you’re in, filtering and killing what might blow out of dirty AC ducts as well as any microbial organisms or mycotoxins that might be in the room already. This can be especially useful when you travel, since the air in hotels is often highly polluted. We do, however, recommend that you only buy top-rated portable air purifiers with the best UV light treatment systems. Many retailers offer cheap room air cleaners for sale that say ‘UV light’ but either have ultraviolet bulbs that are very low wattage that aren’t very antibacterial or antiviral, or they produce harmful ozone. Ozone irritates respiratory tissues, destroys our own cells, and actually increases asthma symptoms, despite heavy marketing saying ozone is safe to breathe. It’s not. 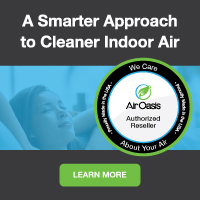 Air Purifiers and Cleaners.com is your #1 online retailer for quality portable home and room air purifiers with germicidal UV light air treatment and top-rated HEPA and carbon filtration systems that effectively filter and kill mold, bacteria, viruses and eliminate mycotoxins, keeping you and your family breathing clean, sanitized air. And since we’re an online store with extremely low overhead, this allows us to offer these amazing portable air cleaners at the best cheap discount prices with free shipping every day. Call our air purification experts today toll-free at 1-800-701-2513. Whatever questions you have about air filtration or ultraviolet light, we’ve got the answers and we’ll help you buy the best UV air cleaner for your needs, without overspending. Call us today toll-free at 1-800-701-2513. We’re here to help!